Author: Waters, Sarah Set In . 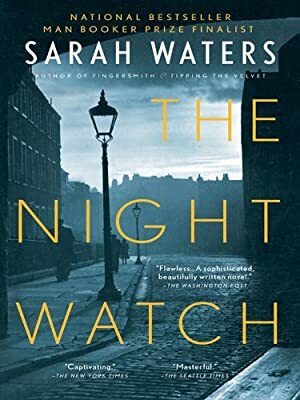 . .
Moving back through the 1940s, through air raids, blacked-out streets, illicit partying, and sexual adventure, to end with its beginning in 1941, The Night Watch tells the story of four Londoners—three women and a young man with a past—whose lives, and those of their friends and lovers, connect in tragedy, stunning surprise and exquisite turns, only to change irreversibly in the shadow of a grand historical event.